Our clients come to us from all walks of life and all age groups. It is our belief, that we all possess the drive to push each other, and ourselves, to deeper levels of body-mind awareness, through dedicated training and proper education. We invite you to make the pilgrimage to this unique fitness spot, and discover your boundless fitness potential. Our on going mission is to intelligently and carefully expand our physical boundaries while maintaining fluidity and presence internally. Our approach upholds integrity to exercise and movement, all the while maintaining an evolving mind. We have chosen to build our program with a brand of Strength and Conditioning that isn’t based on popular demand but rather on techniques and tools that have stood the test of time. We are not interested in making you reach unsafe levels of exhaustion and stress with high repetition thoughtless programming. We would rather an athlete gauge the quality of our program by not how difficult a single workout is, but rather by how effective the totality of our training is. Hard workouts are easy to come by, effective training is rare. 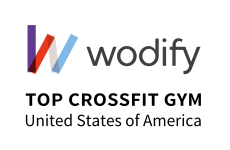 Jevon is Co-Owner and Director of Operations of Westlake Crossfit. Jevon is a Crossfit Level 1 Coach and a Certified Peformance Enhancment Specialist through the National Academy of Sports Medicine. Jevon also holds his certification as a USA Weightlifting Club Coach. Jevon is a former Division 1 athlete who has spent the last seven years helping individuals reach optimal fitness levels as well as enhanced athletic performance through an evolving approach dedicated to ensuring a steady and well thought out progression toward goals. Jesse is Head Trainer at Westlake Crossfit as well a Gym Manager. Jesse is CrossFit Level 1 Trainer with plans on getting his Level II certification in the near future. Jesse is a Certified Strength and Conditioning Specialist through the National Strength and Conditioning Association. Jesse received his business degree in 2009 in Entrepreneurial Management from Texas Christian University, and after a stint in corporate America, he decided to follow his passion of fitness with aspirations of training competitive athletes and at-risk youth. Jesse’s areas of expertise are athletic development and working with older populations. Jesse is available for private and group training. Eric has spent 12 years motivating and training soldiers in the Army and wants to take that experience and apply it to Crossfit. He is Crossfit Level 1 certified, a Crossfit Kettlebell Certified Trainer as well as a Crossfit Football Certified Instructor. He has aspirations on furthering his knowledge in all areas of fitness in order to become a Strength and Conditioning coach for a professional baseball team. Eric graduated from Texas State University December 2007 with a Bachelors of Science in Nutrition and Foods. Eric is dedicated to improving one’s lifestyle through proper nutrition and effective training methods. Eric is available for private or group training. Amanda holds a degree in Psychology and Social Work from Texas State University. Amanda spent her childhood and adolescence as a competitive gymnast and cheerleader. After a few years at Texas State without the routine of cheerleading, Amanda felt a void where cheerleading used to be. In the summer of 2010, Amanda discovered CrossFit. Since then, she has significantly improved her conditioning and strength, but even more so, she has gained a strong sense of self and community through her friends and experience at Westlake CrossFit. Amanda has aspirations of working with children and attaining her CrossFit Kids Certification. Her goal is to help adults and children reach optimal fitness goals by sharing what she has learned through CrossFit. Amanda is available for private and group training. Book an appointment with Coach Amanda today! Elliot was born and raised here in Austin, Texas and recently graduated from Baylor University’s Hankamer School of Business with a B.B.A. degree in Entrepreneurship and Management. Growing up racing motocross and spending a short while playing on the club rugby team at Baylor, Elliot has always embodied an active lifestyle. However, it wasn’t until he discovered CrossFit where he found a new and sustainable passion through functional fitness. He has realized the amazing power of community through CrossFit and how positively impactful it can be on one’s goals. He continues to ride motocross, has become an avid wakesurfer in his free time, and loves to spend time with friends and family outdoors. Elliot has goals to empower and inspire everyone and anyone to reach a level of fulfillment that he has found through this exciting lifestyle.